Solar-Log 2000 compatible with all current inverters. It is possible to connect several inverters for maximum of three manufacturers and a total plant power of 2000 kWp. The Solarlog 2000 has two RS485/RS422 interfaces and one RS485 interface. A USB stick can be connected to manually install new firmwares with additional inverter support or new functions, or to transfer quick and secure backups and other data. You can operate Solar-Log™ directly on the device and display yield reports as graphs on the high-quality color TFT-Touch-Display. 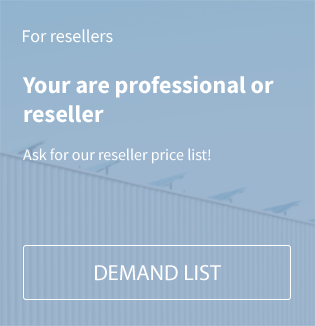 The Solar-Log™ WEB ”Commercial Edition“ online portal expands the monitoring function of the Solar-Log™ and offers comprehensive monitoring reporting options in the form of graphs and tables via the internet. 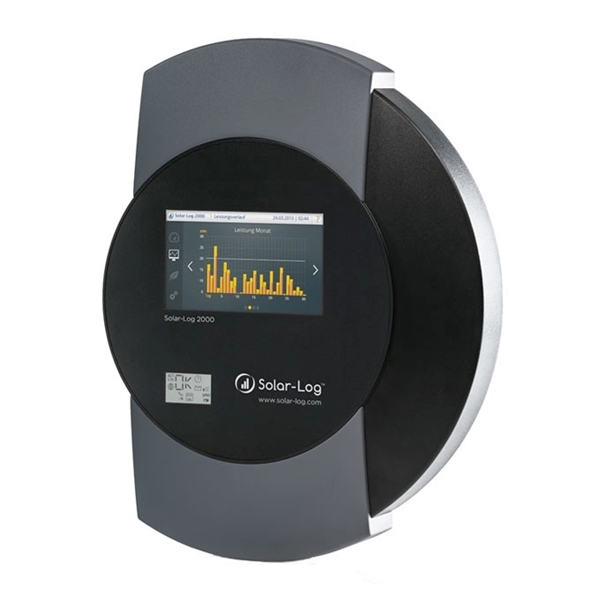 The data volume from the Solar-Log™ can be recorded for up to 20 years. The micro SD card is used to protect against any loss of data in the event of a power failure. This provides your plant with anti-theft protection and an external alarm against burglars and vandals. Related links to "SolarLog 2000"